The letter E seems to Encapsulate quite a few attributes for family historians. Ethics: How on earth did I forget this one on my first pass? Far too important to leave out, I’m adding it late. There are so many ethical issues we face as family historians. In particular those that affect living people and which may be confidential. Ensuring we don’t publish or put information about living people online without their permission. Ensuring we respect other’s work, copyright etc. Treating even the dead with respect, so that we tell the truth as we find it in the records but with compassion and not in a sensational way as if their only purpose is to give us a Good Story. Weighing up the stories we’re told by others, looking for possible bias, and presenting a balanced story. Enthusiasm: When we start out on our journey we may be tentative and unsure about what we’ll find, but as we learn more about our ancestral families we become if anything over-Enthusiastic. However there are times when the trail turns cold when we need to heat up our Enthusiasm. Expand our perspectives: I know I’m talking to the converted here, but blogs and reading of the old-fashioned kind broaden our perspectives and strategies. 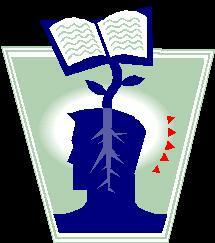 An Office Clip Art image. Managing Expectations: Linked to those lulls in enthusiasm, we need to manage our expectations. Some questions will never be answered but with luck may be intuited to a degree from other reliable sources. Some sources simply no longer exist. You may have to manage others’ expectations as well. How often have you heard the questions “Aren’t you finished with that yet?” or “How far back have you gone?” What emphasis you place on your family history research, and where it takes you, is up to you…do you look at all your branches? Try to go back in time as far as possible? Try to learn more about each ancestor and their life? Education, an Enquiring mind and Exploring: True of life in general but this obsession of ours challenges us daily to learn more, to try new strategies, to learn new technologies. That enquiring mind will be your guide in planning new research paths, developing research hypotheses and exploring new sources of information. Learn, learn, learn! Energy: You need a lot of energy to keep going on the research trail, to climb cemetery fences, to explore old homesites…. Excellence: In some ways an ambitious goal but we can aim for the stars in our research, how we tell the stories and document our findings. This isn’t a goal to beat ourselves up with, this is one to inspire us to keep learning and trying. Anyone who stops learning is old, whether at twenty or eighty. Anyone who keeps learning stays young[ii]. Henry Ford. 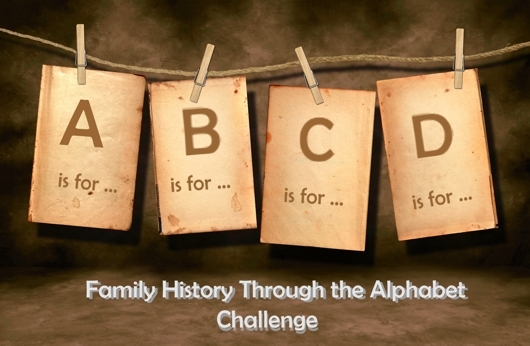 This entry was posted in Family History, Family History through the Alphabet and tagged family history alphabet by cassmob. Bookmark the permalink. Can’t argue with any of those attributes. Everyone of them is necessary to continue the search, which ever direction we take it. Pauleen, I’m really enjoying your themed series. Every time I read your posts, I feel you’ve hit the nail on the head. Another good batch of attributes. You do have a good understanding of the characteristics. Elastic time would be fantastic. I loved that mental image and hmm, all too true 😉 Then last night I thought of Ethics -how did I miss that. May have to add an addendum.